The STarT Back strategy for categorizing and treating patients with low back pain (LBP) improved patients’ function while reducing costs in England. This trial evaluated the effect of implementing an adaptation of this approach in a US setting. The Matching Appropriate Treatments to Consumer Healthcare needs (MATCH) trial was a pragmatic cluster randomized trial with a pre-intervention baseline period. Six primary care clinics were pair randomized, three to training in the STarT Back strategy and three to serve as controls. Adults receiving primary care for non-specific LBP were invited to provide data 2 weeks after their primary care visit and follow-up data 2 and 6 months (primary endpoint) later. The STarT Back risk-stratification strategy matches treatments for LBP to physical and psychosocial obstacles to recovery using patient-reported data (the STarT Back Tool) to categorize patients’ risk of persistent disabling pain. Primary care clinicians in the intervention clinics attended six didactic sessions to improve their understanding LBP management and received in-person training in the use of the tool that had been incorporated into the electronic health record (EHR). Physical therapists received 5 days of intensive training. Control clinics received no training. Primary outcomes were back-related physical function and pain severity. Intervention effects were estimated by comparing mean changes in patient outcomes after 2 and 6 months between intervention and control clinics. Differences in change scores by trial arm and time period were estimated using linear mixed effect models. Secondary outcomes included healthcare utilization. Although clinicians used the tool for about half of their patients, they did not change the treatments they recommended. The intervention had no significant effect on patient outcomes or healthcare use. A resource-intensive intervention to support stratified care for LBP in a US healthcare setting had no effect on patient outcomes or healthcare use. National Clinical Trial Number NCT02286141. Evaluation of Implementation of a Risk Stratification Strategy to Improve Primary Care for Low Back Pain. International Back and Neck Pain Research Forum, Oslo, Norway, 14 September 2017. We are very grateful to the primary care clinicians, physical therapists, and staff at the Group Health Lynnwood, Northgate, and Renton clinics for their support for and engagement in the intervention. In addition, we would like to thank the following members of the research team; Zoe Bermet, Kristin Delaney, MPH, John Ewing, Kevin Filocamo, Vina Graham, and Margie Wilcox, and Survey Interviewers; Jennifer Brandlin, Donna Luce, and Patricia Scott. Funding for this trial was provided by the Patient Centered Care Research Institute (“Evaluation of a Patient-Centered Risk Stratification Method for Improving Primary Care for Back Pain”: Contract #398) and by the National Center for Complementary and Integrative Health/NIH (“Implementing Evidence-Based Treatments for Persistent Back Pain into Primary Care”: Grant No. R21AT0007326). Martin Levine, Diane Piekara, and Pam Rock received support to participate in the quality improvement activities from Group Health. Nadine E Foster, an NIHR Senior Investigator, and Jonathan C. Hill were supported through an NIHR Research Professorship (NIHR-RP-011-015) awarded to Nadine Foster. The views expressed are those of the authors and not necessarily those of the Patient Centered Care Research Institute, NIH, NHS, the NIHR, or the Department of Health. Our research team included four “patient partners” (GB, MJ, AL, JY) with chronic back pain who provided their unique and valuable expert advice on the trial materials and processes. The views and opinions expressed in this paper are those of the authors and do not necessarily reflect those of the Patient-Centered Outcomes Research Institute, the National Institutes of Health, NIHR, NHS, or the Department of Health. None of the agencies that funded the trial had any input into the trial design, conduct, data collection, analysis or interpretation, reporting, or writing of this article. The care improvement intervention included several inter-related and synergistic components. After clinicians or nursing staff entered patients’ responses to the STarT Back questions, the electronic health record (EHR) automatically calculated each patient’s risk stratum and displayed recommended treatment options for that stratum on a screen visible to clinicians and patients. The goal was to provide an opportunity for clinicians to discuss treatment options with their patients. Because nursing staff sometimes collected and entered patient responses to the STarT Back Tool, provider use of the tool varied greatly, and, therefore, it is unclear how many providers used the tools as intended with patients. In addition, shortcuts were incorporated into the EHR to help clinicians efficiently access the STarT Back Tool, the Group Health (GH) back pain guidelines, existing GH educational resources (DVDs about acute and chronic back pain, and when surgery might be indicated), and GH’s self-management groups for persons with chronic conditions (Living Well with Chronic Conditions). 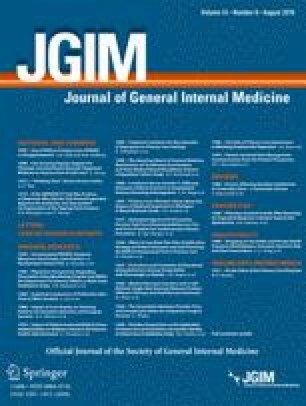 Low risk (~ 40% of patients): Conduct a brief assessment to rule out potentially serious causes of back pain (i.e., “red flags”), do not refer to other healthcare professionals, elicit and listen to patients’ concerns, provide reassurance about the positive prognosis and self-care recommendations to relieve pain (physical activity, pain medications, avoiding bed rest). Encourage patients to access online DVDs that reinforced information about acute or chronic back pain and the importance of self-care. Moderate risk (~ 40% of patients): In addition to ruling out red flags and encouraging self-care, recommend activating treatments such as physical therapist-led exercise and yoga that could reduce fear of movement. For patients not interested in activating treatments consider more passive options (acupuncture, chiropractic, or massage therapy) in the hope these treatments will help decrease their pain and prepare them for more active approaches. High risk (~ 20% of patients): In addition to ruling out red flags, recommend or refer patients to the GH PTs who were specially trained in the MATCH trial to offer a systematic approach to the integration of physical and psychological approaches to treatment of people with low back pain. Another evidence-based approach for chronic back pain, cognitive behavioral therapy (CBT) from a psychologist, could be recommended, but access was very limited. PCPs were also encouraged to proactively follow-up with high-risk patients within 2 weeks. Six one-hour training sessions on separate topics were given in each of the three primary care intervention clinics. Each topic was presented on several occasions to ensure that all primary care providers (PCPs) participated. Sessions were presented roughly monthly over a 6-month period (May–October 2014). Training focused on the STarT Back tool and matched treatment options (emphasizing the importance of the biopsychosocial model), techniques and strategies for talking about chronic pain with patients, the special training GH physical therapists (PTs) had received in incorporating simple CBT techniques into their PT practice to use with high-risk patients, and understanding the role of evidence-based complementary and alternative medial (CAM) therapies. Education about CAM providers was particularly important because, despite a Washington State law mandating access to these evidence-based treatments, few PCPs know much about them and rarely mention them as treatment options to their patients. GH contracted with an external network of CAM providers to provide these services. Physical therapists and members of the nursing staff were invited to attend several of the sessions. In addition, PCPs and staff received coaching on how to locate and correctly use the STarT Back and other related tools in the EHR. Most PCPs participated in at least one such coaching session. Finally, to reduce knowledge barriers to recommending matched treatment options, we compiled a list of the names and contact information of recommended local CAM providers and made them available to clinic staff. The PTs in the intervention clinics received 5 days of training from an instructor from England (GS) who had trained the PTs in the original studies of the STarT Back strategy. This training aimed to provide PTs with a better understanding of how psychosocial factors contribute to the pain experience and helped them apply pain-relevant psychosocial theories and practice to maximize their effectiveness in reducing their patients’ pain-related disability.